Shhh. What’s that sound? Listen very carefully. Can you hear it? If you’re listening for any mention of women or gender or sexism or misogyny in the mainstream media post-election narrative, don’t bother — you won’t hear a damn thing. That storyline has been written out of the narrative, replaced by narratives about how gee, Hillary Clinton just wasn’t the right candidate (who beat Bernie Sanders handily in the primary, but anyway), sad tick-tocks of internecine Dem party warfare (90 percent of people who prognosticate on such things assumed an HRC win, but anyway), how Donald Trump really tapped into a new revolution with his authentic straight talk (but God forbid anyone should mention racism or sexism or — what’s that phrase Steve Bannon? — white supremacy), how the white working class was ignored (because the working class is obviously all white, and why examine why affluent educated white men and women might have voted for Trump, right? ), how fake news is the worst (it is, but who wants to examine why stories about Hillary Clinton being a monster might have taken hold? ), how Russia hacked the election (enlisting the media’s help, so eager were they to paint Hillary Clinton as aforementioned monster) and finally, how it’s time to Come Together And Not Be Distracted By Identity Politics. Well. You’ll hear something 2017: the sound of women getting loud AF. But since it’s 2016 and not 1958, that toothpaste is not going back in the tube so easily. Women who want to have lives and have careers and have babies if they damn well want to and not for any other reason decided by any other person are going to say so. They — we — are going to be loud about it on Twitter, and on Facebook and Snapchat and Instagram Stories, and at a certain march on Washington next month. We’re going to be loud about it in print and in art. We’re going to start more podcasts, because cable news is still pale, male, and stale but examples like Another Round and 2 Dope Queens and Call Your Girlfriend have now provided templates. We’re going to start more newsletters, because examples like theSkimm and Lenny are successful and influential and are now models to copy, and in the meantime starting a TinyLetter is really easy (see Nisha Chittal’s This Week In Lady News) and a platform to build from (see The Ann Friedman Weekly). Samantha Bee provides a delicious role model for brilliant, scorching satire — and though it’s a little harder to whoosh up a late-night show, I will say that I’ll watch a Liz Plank video any time it drops. Does this mean every single new tweet or podcast or TinyLetter or YouTube video will explode into viral acclaim? Of course not. But some of them will. Because there is an audience for it, and a market for it. And because they’ll have help. I am the cofounder of a collective for professional women called TheLi.st which runs an active, engaged listserv, and since the election the number of active, engaged all-female communities I have joined has skyrocketed, including one coven and one She-Woman Misogyny Hater’s Club. The day after the election, IRL member clubhouse for women The Wing opened its doors to any woman who needed space. And there’s that march on Washington next month. Women matter, and that’s a message that they — we — will be hungry to send, and receive, and amplify. I keep seeing this phrase: The Resistance. Well, you’d better believe that women are part of it, just as they are so often the canary in the coal mine for needing it. So: If you are a so-called woke white dude tempted to mansplain the misogyny out of the narrative, please do think again. (And for the love of God, do not lecture us on why Bernie would have beaten Trump. Jews haven’t been feeling super comfortable lately, either.) 2017 will see a standing army of women who came out of a bruising 2016 campaign hardened and scarred and with a mandate not unlike a 2.8-million vote lead in the popular vote. The mandate is to be loud. Listen for it. 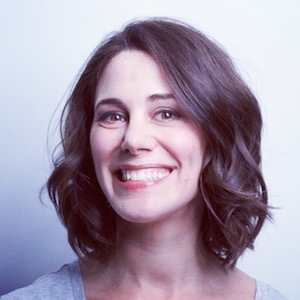 Rachel Sklar is cofounder and CEO of TheLi.st. Dec. 19, 2016, 12:01 a.m.